The part of our job we enjoy the most as Proprietors and Innkeepers of a Bed & Breakfast is that of tour guide concierge. We humorously refer to ourselves as “life style consultants” as we assist our guests in planning their ideal vacation in the Carolina Beach and Wilmington area. There is so much more than simply “sun and sand” to appreciate with Wilmington just a mere 25 minutes away. With that in mind, we thought we would share our favorite five upcoming activities to delight yourself when you visit us this fall. The Wilmington Symphony Orchestra presents their Masterworks Series beginning September 26th. 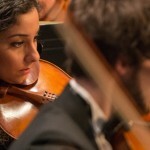 They will perform concertos from Brahmns, Tchaikovsky, Mozart, and other classical masters. Walking tours of Historic Wilmington presented by the Lower Cape Fear Historical Society are a great way to explore the city. A leisurely stroll showcasing homes, gardens, churches, and other buildings of historical and archeological significance. 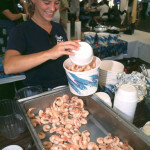 22nd Annual Seafood, Blues & Jazz Festival coming up October 10th & 11th is a Pleasure Island tradition. Riverfest takes place October 2-4 this year in downtown Wilmington on the Cape Fear River with two days of art, music, and lots of family friendly activities. Guided Bicycle Tour of Historical Southport, a leisurely ride through the live oak canopied streets of this quaint southern town makes a perfect day trip from the Inn. These are but a few of the amusements to avail yourself of as you visit Carolina Beach. We look forward to your next visit and helping you create your idea beach vacation. 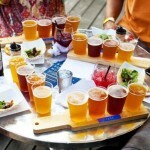 This entry was posted in Bed and Breakfast, culture, Fall Events, Family Friendly, Uncategorized, Wilmington by admin. Bookmark the permalink.